Before heading off to the Manhattan Cocktail Classic Gala, I was invited to try Mandarine Napoleon at the Napoleon Pop Up Bar. 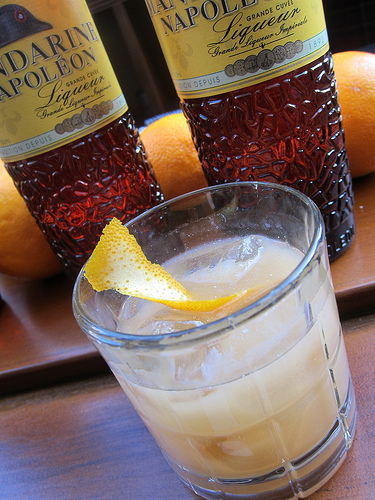 Each night, Mandarine Napoleon had guest bartenders serving cocktails. The Bon Vivants poured the first night. 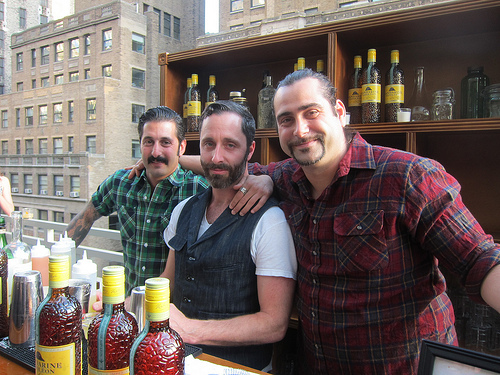 Soho House (LA, Miami, London) and Broken Shaker (Miami) also presented cocktails for Mandarine Napoleon. 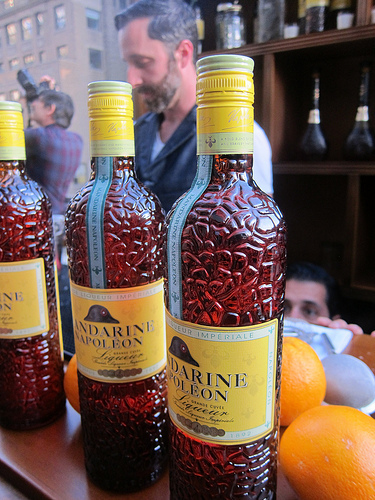 Mandarine Napoleon is cognac that has been aged 10 years and infused with Mandarin orange from Sicily. This infusion is about 200 years old when Napoleon Bonaparte’s doctor macerated Mandarin orange into cognac for the Emperor. Eventually, he added spices and allowed it to mature for at least 3 years. I also had a chance to taste the Napoleon XO which is cognac aged 30 years. That was so smooth and needed nothing more than an ice cube or two to enjoy. The pop-up bar gave a clear view of the city and it was wonderful to enjoy cocktails on the roof. 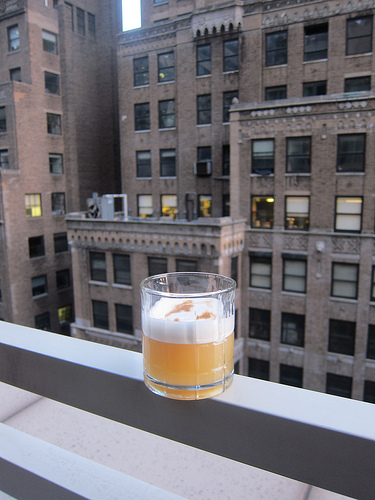 I first tried the Rococo (Mandarine Napoleon, Whistle Pig-infused organic cream, Amontillado Sherry, Gran Classico). Next I tasted the Rico Suave (Mandarine Napoleon, Tequila Ocho Reposado, lemon, grapefruit, coffee infused absinthe, egg white, Angostura bitters) which was very lovely. 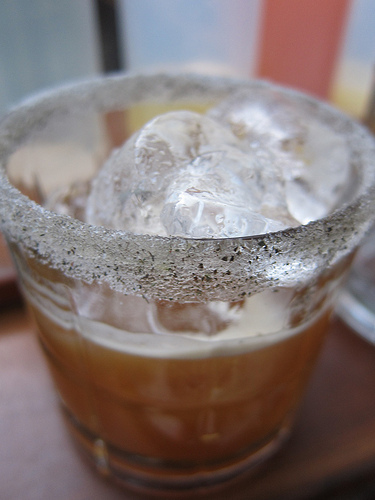 Mix and double-strain into rocks glass rimmed with scented sugar. I loved this cocktail and would have had another but I had to run off to the MCC Gala! This entry was posted in alcohol education, alcohol tasting, bar stories, bartenders, cocktail week, cocktails, events, history, hot bartenders, spirits, the minty, travel and tagged alex straus, bar, bar lab, bon vivants, broken shaker, cognac, josh harris, la, los angeles, mandarine napoleon, manhattan, manhattan cocktail classic, mcc, mcc gala, napoleon bonaparte, ny, nyc, pop up bar, pop-up, san francisco, scott baird, sf, soho house, the bon vivants, the minty, travel. Bookmark the permalink.